You are currently browsing the tag archive for the ‘Houston’s First Baptist’ tag. Christmas Worship at Houston’s 1st! Christmas is way too busy for us. We are juggling work, travel, gifts, letters, projects, bills, parties and life so fast that jingling bells are hard to hear. A lot more silent night and still the night would be welcome in our souls. A balance is struck from a familiar favorite place. For many Americans and world-wide Christians this is a shared respite during this hectic season. 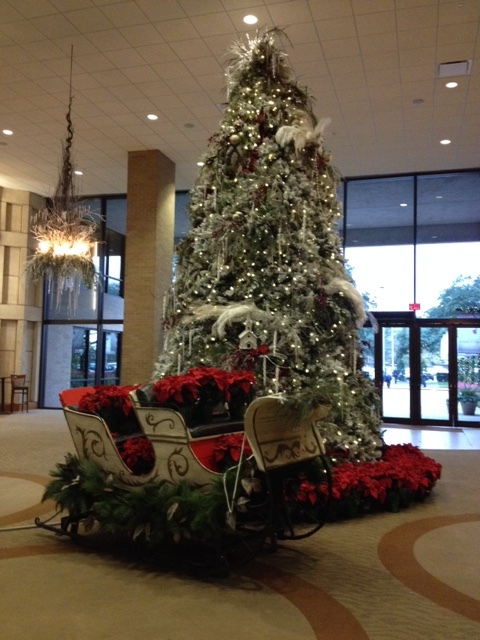 This place is featured on Christmas cards, television shows, screen savers and ornaments. Sometimes the scene is a snow shrouded clearing in the woods. Horse drawn sleighs are parked in front. Multi-colored lights transform a living tree just off to the side. Often the Nativity scene is partnered with this place of comfort. Joseph and Mary watch over the newborn baby Jesus while animals quietly look on to the miraculous scene. Visitors flock to the sound of music coming from inside of this haven. It is the picture of a church building. Inside the alive church of followers of Jesus are celebrating this anniversary birth. A Savior has been born. Our busy lives pushed all of those demanding stress-causing matters out in our POV (personally owned vehicle). I shut the doors and locked them in. Then, my bride and I carried our Bibles and hand in hand we walked into church. 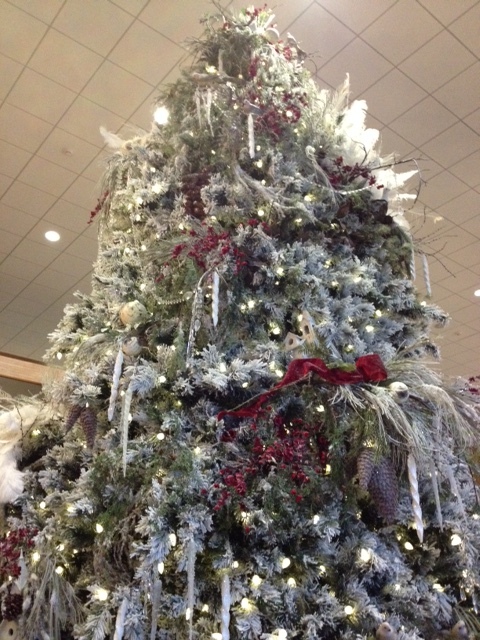 Gifted decorators decked out a tree that was gorgeous. We did not rush by it. Instead, captivated we stopped and admired it from several angles. 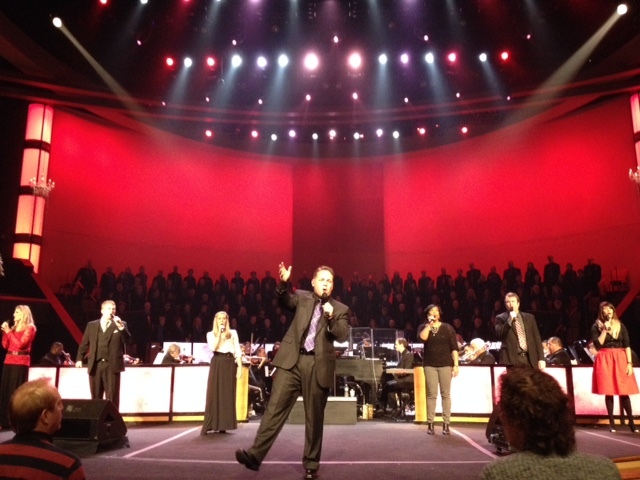 Once inside the auditorium the orchestra and choir and worship team blew us away. Our spirits soared with the familiar Christmas carols. Then stunning orchestral and choir supported anthems took our spirits and we worshipped together. It was awesome! A soloist made the rafters shake with her rendition of “Do You See What I See?” We rose to our feet with great applause. All of us could see! Pastor Gregg Matte delivered an encouraging word from the Word. He has a gift of making the truth practical. The Spirit used it to touch so many lives. In the end the choir and orchestra dismissed us with a majestic finale of Handel’s Hallelujah Chorus. With a family like serendipitous moment the choir motioned for Pastor Gregg to join them in the loft for that final song. 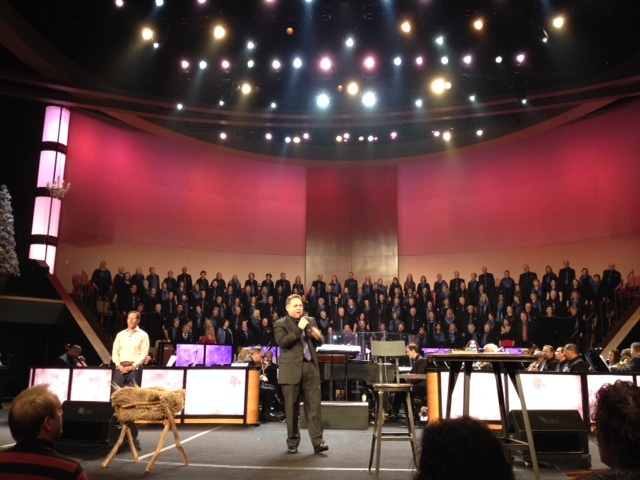 All of us sounded not just “good” but “glorious” as we gave our Almighty God our collective gift of worship. Merry Christmas!